Have you heard the news? 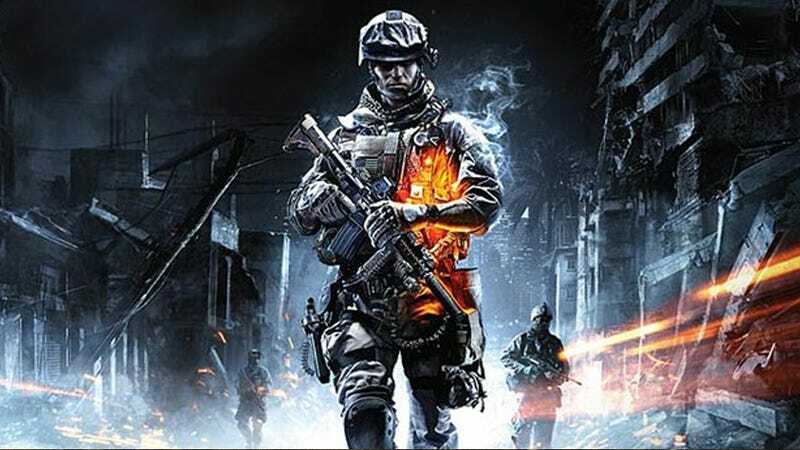 Battlefield 3 Beta drops on Sept. 29 and will run through to Oct. 10. But what system specs do I need on a computer? How do I install the beta? Do I need Origin? We've got the answers to these questions and more right here, thanks to DICE's handy-dandy FAQ. For those of you who have already pre-ordered the PC Digital Download version of Battlefield 3 through Origin or own the Limited/Tier 1 edition of Medal of Honor, you will have early access starting Sept. 27 (you have till Sept. 25 to still pre-order). Once it hits, you'll be able to download it via your console's Marketplace or if you're using PC, it'll appear on Origin's Application's Demo page (So set up that account if you haven't already yet, it's required for PC players). If you purchased Medal of Honor and are expecting an early access invite, keep an eye on your email for the code (the same goes for 360 users; PS3 MoH users will find the early access download readily available in the Playstation Network Store on the date). Lastly, if you own Medal of Honor through steam, access it in your Steam library and and click the "CD Key" link to find your early access key. Then log into your Origin client and click the gear icon at the top to enter the key in the "Redeem Product Code" section. For consoles owners, be wary that if you got an early access beta invite you cannot switch that over to your other console (for example an invite on your 360 but you want to access it early on your PS3). Rest assured that come Sept. 29, you'll be able to openly download it on any of your gaming hardware and play away. Once you've got the game running, get familiar with Battlefield 3's Battlelog, a new social platform that will tie into the game. With it you'll be able to socialize, track stats, plan your next game, and more. Once you're all set up and ready to go, get gaming and enjoy the experience! EA has stated that there will be no cap on how long you can play (other than the end date of the beta), nor any caps in regards to how far you can rank up or what you can unlock. But keep in mind that your stats won't carry over to the full game when it officially launches. It's also worth noting that the gameplay is subject to change, remember this is a beta version and not final software. Your participation in this experience will help to improve the quality of the final game. Take pride in that. If you have any other questions regarding the Battlefield 3 beta, get in touch with EA's Customer Support or visit the Battlefield 3 Beta site. The beta will only be available to players located in North America, South America, Europe, South Africa, Australia, and New Zealand (Sorry Asia. ).